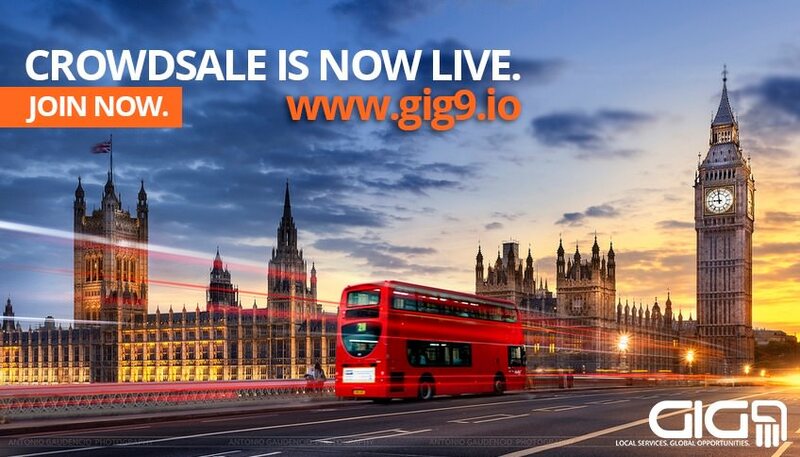 [ANN] [ICO] GIG9 – A Freelance Ecosystem Powered by Blockchain. Bitcoin Forum > Alternate cryptocurrencies > Announcements (Altcoins) > Tokens (Altcoins) (Moderators: mprep, Welsh) > [ANN] [ICO] GIG9 – A Freelance Ecosystem Powered by Blockchain. 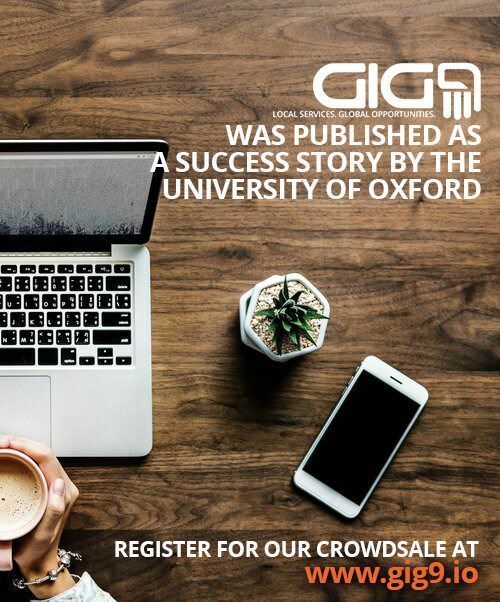 GIG9’s revolutionary platform will be the first of its kind to promote a peer-to-peer decentralized marketplace, controlled independently by the market participants. PHASE 1 of our CROWDSALE is LIVE until 29th June! Exclusive 36% bonus for the first block of 5000 ETH. A total of 1 Million GIG9 9Coin's are in the pit. YOU can win 10.000 9Coins. Airdrop limited to the first 1 000 hunters. ONLY trust information from GIG9 official channels. Re: [ANN] [ICO] GIG9 – A Freelance Ecosystem Powered by Blockchain. This presents a straightforward and uncomplicated connectivity between the customer and the service provider which, in turn, creates the fairest, and the most transparent and efficient service marketplace based purely on smart contracts. We'd like to apologize for the inconvenience as our website was down on 22 March 2018 GMT/UTC 14:00 to GMT/UTC 18:00 due to routine maintenance.Thank you for your understanding. A total of 1 Million 9Coins are in the pit. I want to take part in ICO. How may I do It? We are very happy with your interest. Please, feel free to ask anything else you may need. Thank you for your notification. We are checking what is going on, at this moment. Only 14 days for the GIG9 Pre-sale. Register for the maximum discounts o the Exclusive and Limited Whitelist. "It is carving its pathway to future permanent sustainability offering an exceptional niche of Innovation for its users." There are already some ICOs that are focused on the same problems of freelance ecosystem. 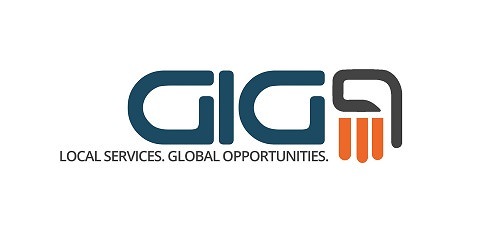 What the most distinct advantages of GIG9 project? I think what stands out to GIG9 it's the fact that the GIG9 Founders team is made up of professionals who work in the service industry, accumulating years of experience and benefiting from its multi-cultural diversity. Gig9 is the answer that the founders did not find, for the market needs they so well know. We are available if you have any question. Best, from the GIG9 Team. "This is what makes the gig economy shine brightly...as your gender, nationality, age and even any disability factors do not play any roles here; all that’s needed is your willingness to get the job done." It seems that the project is quite interesting. But, I would like white paper to be more suitable for automatic translation into other languages. Not all investors have an impeccable knowledge of the language. We are reviewing proposals for the translation of our documents. By the way, what other languages you think we should consider? We hope you will be one of many, supporting actively GIG9. And what is the revolution of the idea? Unfortunately, White papers are given as one picture. Text from there copy and translate into a translator Google for me is simply impossible. Therefore, I ask you to explain. Let me see what we can do about it. I have sent your comment to my colleagues, and I hope to come to you soon with a solution. I am very pleased with this prompt response from you. Nicely. I like it. I will wait for your next reply. I wish the project success.